In the video here, the pilot is landing with a paramotor and a fast reflex type wing (the Paramania GTR). Flying without a paramotor and with an ordinary PG glider makes a landing easier in some ways but it is the same. I have verified with a sensitive pressure recorder (a variometer) on the ground that there is a pressure wave of lift from 20 to 40 ft./min. just in front of the glider as it skims along the ground. This provides additional lift just before landing. It is not much but enough to notice. It is also can be demonstrated in still air flying PPG right next to the ground (< 10' AGL). That is, less power is needed to fly straight and level right next to the ground than above it. A pilot does not "fall out of the air". As long as the glider is moving, it has lift. So, when his feet first touch the ground, it is not as if he was jumping off a tall ladder. Read the notes below and then study the video. There is no substitute for practice – which is why all pilots should receive instruction from qualified schools i.e. PASA accredited. Instructor and master pilot Jerome Daoust recently posted these outstanding tips on how to land a paraglider. Note that it is a ground level skim - a great way to put it. The comments on this post are also excellent i.e. coming in full speed is against every cell in the human brain. The same as "altitude is always better and safer." Unlike a car, you do not want to start "braking" early with your paraglider prior to touch-down, as it robs you from airspeed, which in turn will make your brake response less effective when you need it to start your flare (to skim the ground at a constant height a few feet over) to use the pendulum effect of the wing/pilot for greater lifting power than just the brakes alone can generate. The better/softer way to land is... Come in at trim (no braking) speed until late where you start gradually applying braking (initiating a forward pendulum of the pilot under the wing to generate more lift than just the brakes can provide) until all vertical speed is eliminated and skimming the ground about 3-4 feet over it, then keep adding more brake to maintain same height until you reach 1/2 braking, at which point you rapidly pull to full braking and touch down softly. About wraps... You will often see pilots taking wraps with their brake lines, and they often do it at a bad time (after some previous braking), which causes a dive as they release prior braking to add the wraps. Just "say no to wraps", don't do early braking (which cause harder landings and makes some pilots think they need to add wraps), and work on your timing for ground-level skim instead. When landing, most newer pilots apply too much brake too early and, as a consequence, have harder landings. It is a natural reaction to "falling out of the sky" but it is not correct for a number of reasons. The faster a glider is moving, the more energy it has, and the greater authority it will have when inputs (like a landing flare) are made. Flare timing is critical. Look closely at the hands in the video. Just before touching down, the pilot feels for the wing's flare authority by applying a small and brief amount of brake. This is an advanced glider. More basic-type gliders e.g. EN A and B, will have less flare authority. When should a pilot start the flare? With high performance models, such as an LTF C or reflex glider, it is best to flare just before the feet touch the ground. The glider will slow down some and be in min sink. If your glider has more passive safety built in (lower performance i.e. an "A" glider), you will be less able to harness the energy of the glider when making the flare. In this case, start the flare just a tiny bit sooner. If a pilot is absolutely certain of the terrain being flat, level, and free of any sort of obstruction or holes, it is possible to land hands up. To prepare for this landing (which is basically skidding in), the feet must be positioned correctly with one in front, foot pointed up, and one foot trailing behind. The feet act as shock-absorbers and the pilot skids along in the dirt/grass, keeping the glider exactly overhead until he stops. It only takes less than 10' to slow down from trim speed. Once slowed down, the pilot can walk/run ahead while burying the brakes or he can turn, backup, and bring the glider down in a nice, neat pile. It is easier and slower when there is some wind coming in at the LZ. The downside of this type of landing is that the pilot must stay under the glider at all times. If not, it is easy to slip, especially on wet grass, and fall. Such a fall is almost always benign but it still is embarrassing. Every wing is different in how it responds. Some gliders require very little flare, such as the reflex wing in the video. Non-reflex gliders used by PG pilots need more flare and it should be applied a little earlier. Generally, beginner-type gliders require the most flare and it must be aggressive and deep. Once the flare has begun, more brake may be applied to redirect some of the horizontal motion into vertical. Done just right, the pilot will land with very little, if any, downward force when contacting the ground. If the flare is too deep, the glider will jump up and then stall, producing a harder landing. This is often a problem for students moving into higher performance gliders. 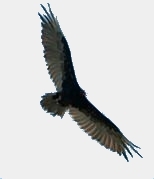 After sensing the wing's characteristics, the pilot in the video applies a little brake – enough to slow down the descent rate just a small amount before his feet touch the ground. In this landing video, the pilot encounters a small thermal on approach. The glider pitches back and then surges as it leaves the small thermal and encounters the sink on the windward side. The pilot catches the surge as best he can but loses forward speed – and the ability to complete the flare. It's a hard landing but he did the best he could. Encountering thermals on final is always risky in LZ's of this kind – and there is nothing we can do about it except to avoid them. This is the main LZ at Valle de Bravo and is surrounded by dry, standing corn. It will always be thermic at midday and why landing here is never the safest option at that time. It is always safer to land in green anything or on the downwind edges of bodies of water. Pilots will not do a face-plant when landing because the glider is still flying and providing some lift, including stability. It is important to keep the glider right overhead and centered at all times when landing until the pilot is ready to bring it down. Do not land in such a place that you are unsure of the terrain. A rock hidden in tall grass can result in an injury. If you are landing in or near bushes, bring your glider down accordion style by pulling on one brake enough to spin the glider so that it comes down tip to tip rather than fully on the trailing edge.